Prabhavathi Builders is a renowned builder of the well-established developers in Bangalore. 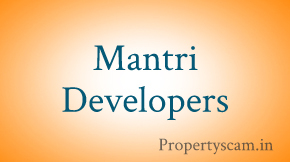 They are considered to be the quickest growing realtors in Bangalore. They are established with a mission to offer top class constructions at affordable prices to the customers. 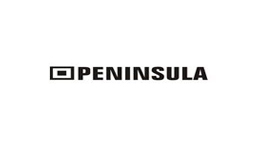 From the time the company was formed, it has worked hard to achieve customer satisfaction, benchmark quality, uncompromising business ethics, robust engineering and clearness in all the fields of their business conduct. Over a period of many years, they have successfully built a goodwill for the excellent services that they have provided to their customers. Prabhavathi Builders have their faith firm in the thought of providing high quality buildings that provide maximum comfort. Besides, they also make sure they include all the required amenities. 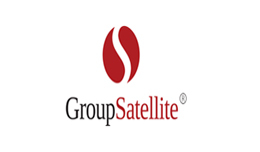 The company has the capability to draw customers as well as high level visibility with all amenities. They analyze from time to time, the requirements of the customers. Based on that, they plan each of their projects to suit their requirements. 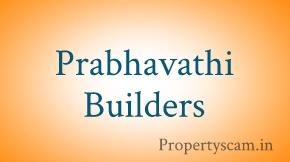 Prabhavathi Developers and Builders was formed in the year 2007 under the capable leadership of Mr. B E Praveen Kumar. The company has successfully made a stable growth in its endeavors of construction activities which were mainly focused on residential projects in South Bangalore. 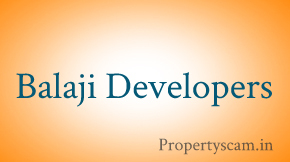 It came to be known as a reliable developer with quality construction and friendly approach towards customers. Write you Opinion on Prabhavathi Builders Projects Bangalore. 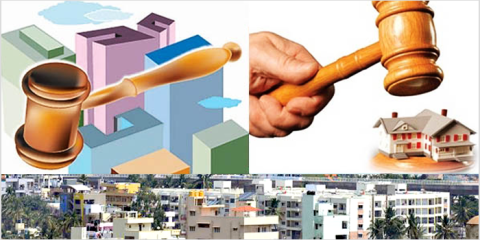 DO NOT BUY WITH PRABHAVATHI BUILDERS! They are the biggest cheats, have heard of a number of cases where they have sold flats under different names “homespace builders” etc. They take your money, and the promoters shift homes after they take it. No accountability. biggest cheats. This prabhavathi builders are biggest cheater… Guys please don’t book any flat in any of their projects. Their project lotus grand at hosa road has legal issues.. Please suggest the steps to get the refund from them…it seems they won’t respond to our emails. I have booked a flat in Lotus Grand. I could not see any progress for last three months. I am requesting all who has booked flat in Lotus Grand can you please mail it to me (Arun.gangur06@gmail.com). I came across rumor regarding disputed site and design not approved. I am planning to create Lotus Grand group which will help all. Has anyone booked a flat in Royal Gardenia.? i do not agree for these comments, i do have a good experience with Prabhavathi builder. Recently i went for a visit to their Bunnergata road project. The project is nice location as well as the price is not so high. But after reading all these comment what i have to do ? Anybody ………..please suggest me. I am looking for a flat is Prabhavati Classic in Koramangla.Pl let me know if any body has bought,how is the quality of construction and any other issues? I am going to book flat in Lotus near Hosa Road – Nice road. Can anyone suggest, whether this project complies all legal or regulatory papers. Plz suggest can we go forward or not ? Please don’t purchase the apartment, they are big cheater, worst quality of flat you will get. Please don’t do mistake of booking any flat with prabhavathi builders. Lotus grand has legal problems. before booking they will show you all rosy pictures, once you book they won’t even take your calls…please stay away from this builder. Thanks a lot for valuable comments, which makes innocent investor to understand the builder very well before taking decision. This fraud company didn’t obtained CREDAI accrediction till date..when asked, they says we applied, but still not received… On the outset, they says that the company started in 2007 and executed almost 65 projects, however they couldn’t get CREDAI approval/certification. They r offering @ Lotus projects in Hosa Road, for 810 sqft is Rs.24 Lakhs (today 26/11/2014). Generally it seams they are running out of cash and may declare insolvent soon. Hi all… can anybody tel about Prabhavathi lotus2 … i am planning to book in lotus 2.. please suggest……. Plz let me know the genuinity of this builder. Whether they have obtained proper approval from legal authority for their sites. Lotus @ Hosa Road Junction. Let me know the feedback on “Park View” , can any one share Pls…. Prabhavathi builder reviews, I could like to compare them has big fraud never ever see in the Indian Real estate market. They are many fraudsters in Indian real estate market, but Prabhavathi Builders are best of all. The reason is very simple and clear. Note: a) No khata for the property b) No legal approvals for construction of the property c) No clear legal documents. d) no floor plan approval for the property. c) illegal 4th floor construction. But still they are selling the flats to many innocent customers ( Bhakrras). I could like to caution the innocent buyers about this all time fraud builders in Bangalore. Great Prabhavathi Builders crook they will not return your money Mr.vivek. They will cancel your flat and will tell you to wait for 90 working days to return money. But they will not return money to you, only through court you can get your money back. I am telling you the truth, they are worst builders in Bangalore. They don’t have any approvals, started and completed on time projects. Its vast of time and money investing in Prabhavathi Builders Projects. If by chance you invest then you will see the hell. Please be aware of all time fraudsters Prabhavathi Builders in BANGALORE. How did u get your money back. Since last 6 months I have been following up but not returning my money. As per the bellow mail , from your end there is no response . with bank intrest and at present market as per agrement. No body is not taking resposible and doing disatisfaction of all coustemers. But as per agrement for paymeent every time your people will call and tell if you are realese the payment will sold like that from marketing people, so please do that and return my money with settlement. Tomarrow i will meet with the documents , so please settle . as per my engg experiance min time to complete with full force of man power 25persions it will take min 4 months from today, your site incharege always tell lies only. even any time will not available in site . as my 6 month every week i am going to site , he will tell all stories only. 15 days back told we will complete the out side finishing by 2 weeks , but as on today work also not started .If intrested to complete so many works are possible to do. So due to the all above reasions i am thinking prabhavathi builders are not intrested , and not compling the excuted bond,and also as per approved the Drawing G+3 but constructed G+4 also a deaviation after registration to me . This also cheeting the coustemers. So ihave paid 4.5 lack cash+intrest (75000 Aproximate)+bank realesd amount and at present market value+and other charges paid by me . Did you get your money back.? How much money did they deduct .? Was the interest paid to you.? This is one of the Prabhavathi heaven customer. I wanted to let you guys know that there are more deviations at the construction site. Plan approved from BBMP is only for G+3 floors but he is building one more floor on top of it. The big impacts for the original customers are 1.share in the undivided area, amenities, water, parking and many more. You all might be noticed one more building nearby from same builder is build G+4 floors but plan was for G+3 floors only. So all the customers of that building gathered and claimed their rights and got refunded. I heard this from one genuine source. So I request you all Prabhavathi heaven customer to gather and form proper agenda to fight with Builder. This is the right time to go for this. After getting possession is too late to do anything on this. I am hiding my identity for security reason. I have created one email id to make the union of all Prabhavathi heaven customers. I request you to send email with contact, so that we can talk to each other and get the best benefits out from the builder.